For no other reason than I happen to be in Paris this week, here are some images with a French connection. 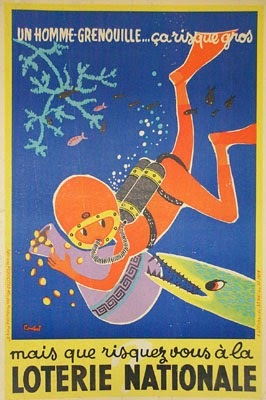 I'm not sure what this 1950 lottery poster is saying so I'll assume it's something about not taking your money diving with you! Wise words. This ad for Gibbs SR toothpaste is also from 1950. 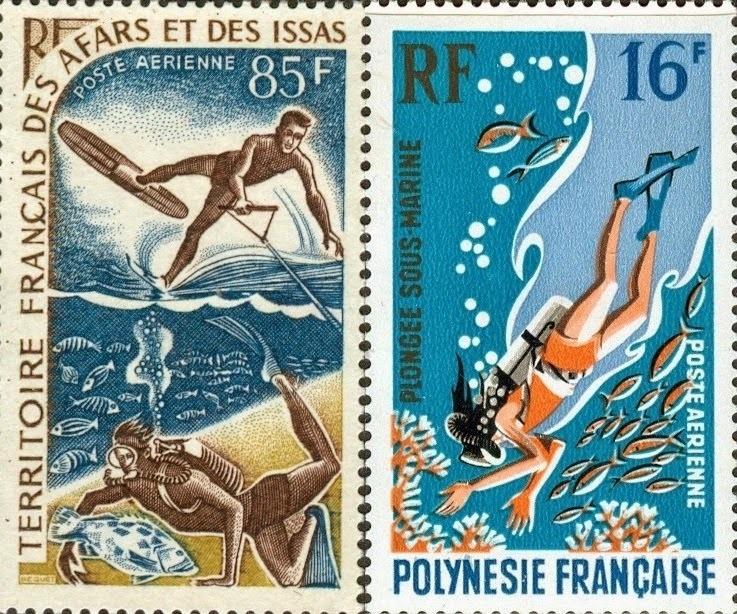 These stamps from two French territories appeared in 1968 and 1971 respectively. 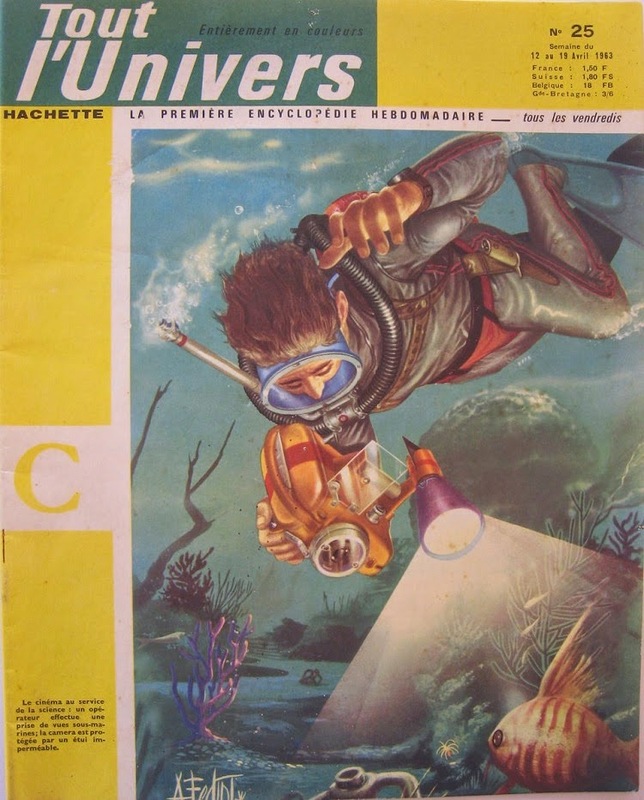 The painting by A. Fedin from this 1963 Tout L'Univers cover first appeared in the 1960 US publication, The Golden Treasury of Knowledge. 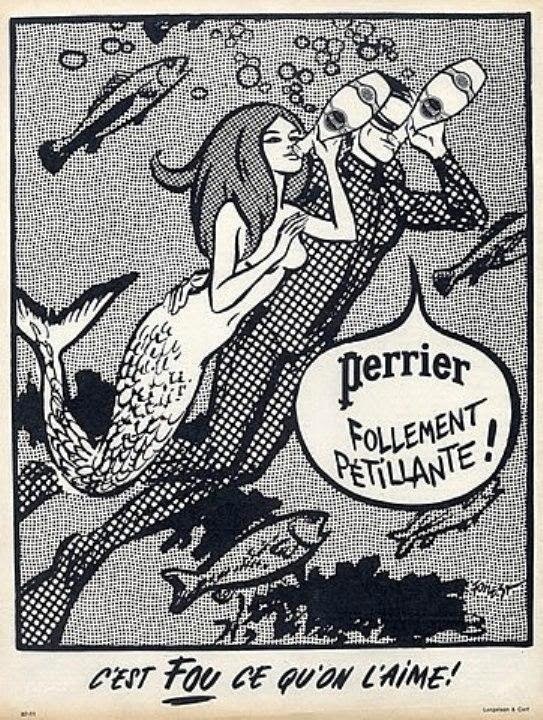 As far as I can tell, this ad not only claims that Perrier is wildly sparkling but also that it's crazy and they like it! My French is amateurish but I think the lottery poster is saying something like "A frogman risks a lot but what have you got to lose in the National Lottery?"